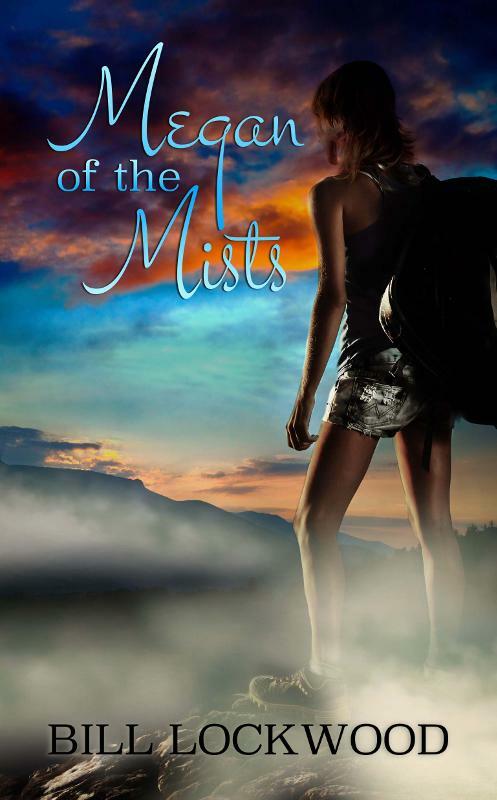 I had the pleasure of reviewing Bill Lockwood’s second novel, Megan of the Mists (Wild Rose Press, 2017) published this spring. The story is historical. Its setting is the Northern Ireland turmoil of the 1970s, a time in history that was interesting to me as well as a familiar subject on TV and in kitchen table conversations back in the day. For readers who may be unfamiliar with this time reference, Lockwood introduces the historical backdrop in his Author’s Notes on History and Myth in the first pages, detailing the struggle for Irish freedom from 1690 to the 1998 Good Friday Agreement. In the novel, Lockwood explores this through two lenses: the Irish protagonist, of course, but interestingly, also the reader. He says, “For us Americans in the ‘Irish’ bars of this country the revolution and ongoing struggle in Northern Ireland was in the 1970s as romantic as the fairy stories of old.” In addition, he shares his own historical ancestry and points a finger to that “romanticism” in American settings such as Long Island that kindled and fueled Ireland’s politics in their rebel music, the stories retold, and in the many “donations” funneled from Irish-Americans to the IRA when the “hat” was passed around the bar. Translation: She’s not helping them, she is one of them and they will never let her go. Lockwood builds the story, cranking up the tension page by page, chapter by chapter, as Megan’s involvement becomes more personal when she is assigned to spy on people very much like her own. She is no longer a courier but an active player in the most dangerous game of her life. When she falls for a British officer in a northern “proddy” pub that she is assigned to case, the game becomes high stakes and takes a sharp turn that catapults Megan into more trouble and terror when the game moves to America. Lockwood’s Megan of the Mists is plot-driven and with much of the detail focused on action. Megan’s backstory is revealed mainly through character introspection and in some of the dialogue. The only off-note is the resolution. Though satisfying, I would have liked to have seen it in play. I also think an opportunity was missed with the fairies mentioned so frequently throughout the novel. I was hoping this thread would have been further explored perhaps in Megan’s character development. Overall, Lockwood’s writing is superb. He sets up the reader with historical fact and then grounds the reader in the setting with description and character movement that is clear and succinct. The dialogue is spot on. I heard the Irish brogues and slang clearly. Even when the story shifted from one continent to another, the voices continued to be distinct. Another hallmark of Lockwood’s writing was that, in essence, I could see movement as well as hear the characters: I was the proverbial fly-in-the-room hovering above them. I was there. Bill Lockwood is a retired social services worker for Maryland and Vermont. He was an avid community theater participant in the early 1990s where he wrote reviews and feature articles for the Baltimore Theater Newsletter and the Bellows Falls Town Crier of Vermont. He was awarded the Greater Falls Regional Chamber of Commerce Person of the Year in recognition of his work as Chairman of the Bellow Falls Opera House Restoration Committee. Lockwood has four published short stories and published his first novel, Buried Gold in 2016. He lives in New Hampshire. This entry was posted in Issue 17:3 and tagged Bill Lockwood, Candle-Ends, Harpspeed, Reviews, Shelley Carpenter by TC Editors. Bookmark the permalink.